The tool is currently under maintenance. Why should I merge my DNA raw data files? 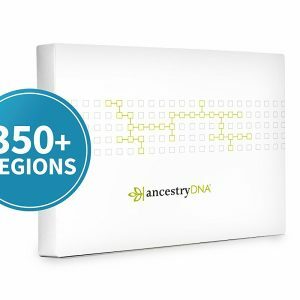 Some of you have tried multiple ancestry genetic tests to get the most accurate picture of your ancestry. Now that you want more health information from your DNA raw data you are unable to figure out which one works best. This merger tool will remove those doubts. Simply upload the DNA raw data files that you have from different service providers. 15-20 minutes later a merged raw data file with more number of genetic markers will be sent to your registered email address. You can download that file and use it on third party DNA upload sites. Please upload only files in the formats mentioned above. If unsupported files are uploaded you may get back inaccurate results. Wait for about 15-20 min. The merged raw data file will be sent to your registered email address. Please leave your feedback in the comment section below so that we can keep improving this tool! So make sure that you download your file within that time! 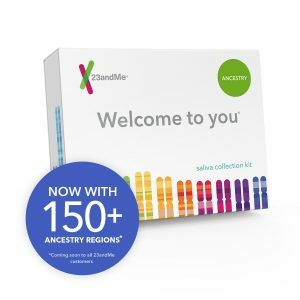 *Xcode Life does not have direct affiliate connections with any ancestry genetic testing service providers like 23andMe, Ancestry DNA, Family Tree DNA etc. Did you find this tool useful? Drop your comments below! Have you tried our Interformat Raw Data Conversion tool yet? Don’t have your raw data? Select from our recommended list of providers. 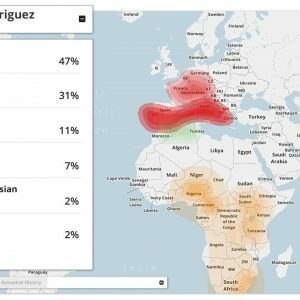 Does this work with 23andme + MyHeritagedna? Hi Mikael. Thank you for stopping by. Yes you can use this tool for merging MyHeritage DNA and 23andMe raw data. What ancestry services would accept this custom made raw data? Hi Runo! Since this is a novel tool it is at the moment compatible with our website alone. We are still in the process of testing it with other websites. We will update our findings as and when we do. My raw data comes from Living DNA from the UK which no one seems to support. I hope the info is usable? Please let me know any discrepancy. Hi Marcia. You can upload your Living DNA raw data to this site to get a health report for $10. How do I convert a zip file to text? Both my raw dna files are zips, and your site won’t allow it. Hi Sarah. You can try unzipping your file and then upload it. What does your tool do in the case where the data from one testing company conflicts with the results of another testing company? Priority is given to 23andme calls if one of the files you are trying to merge with is in 23andme data format. If you are trying to merge FTDNA and Ancestry DNA, then priority is given to FTDNA. Creating this tool was a great initiative, very well! Unfortunately, I could not use it because I tested with FTDNA and Living DNA. I hope one day the data from Living DNA will be supported. We are working towards including other formats as well. Please re-visit this page for further updates. Failed to merge my 23andMe v4 and 23andMe v5 data. Hi Mike. Thank you for stopping by. We will soon release a tool that converts raw data files between the various 23andMe formats. Watch this space for the announcement. Can I submit a merged file to Gedmatch.com? Hello Jo! Yes you can submit a merged file to GEDMatch. Hello Dimitris! Thank you for stopping by. You can try uploading to those sites and give us your feedback. Can we upload data in zip format? Hello Steven! Yes this tool accepts the raw data file in zip format. I am primarily interested in participating in the SAGE South Asian Genome project to receive an Xcode Origin Ancestry report to discover more about my Indian ancestry. Is it possible to merge my raw data files from both AncestryDNA + 23andMe and submit this for the SAGE project? Will a merged raw data file result in a more accurate Xcode Origin Ancestry report or is merged data mainly beneficial for more accurate health reports? Will a merged raw data file improve the accuracy of my Xcode ancestry report? Hello! The raw data is based on the microarray DNA chips from Illumina, who have reported around 99% accuracy. Merging your raw data files will give you access to more number of genetic markers. Hope this clarifies.